Simon’s post gave me pause. While I am glad drawing upon a religious text proved meaningful in a particular context, I am wary of making such a direct corollary to a religious text. As an ordained minister, with three years of seminary training and subsequent pastoral roles in congregations, I am keenly aware of many disputes over the interpretations of religious texts. Such disputes are often the sources of deep divides within Christianity. 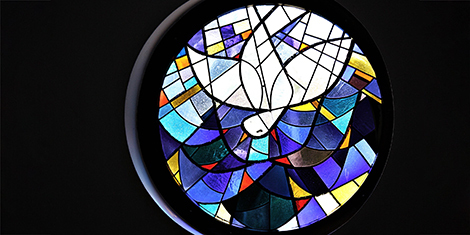 As I began reflecting on other resources for mediation within the Christian tradition, I came across Reframing: A New Method in Pastoral Care , by Donald Capps, a pastoral theologian and counselor. In Reframing I found Capps already draws on many of the approaches fundamental to mediation and negotiation. As with mediation, Capps’ reframing is interested in second order change instead of first order change. First order change occurs within a given system, and often leads to more of the same, perpetuating the system. Second order change aims to step outside of the system and change the system itself. Because it requires the rewriting of the system itself, “second-order change usually appears odd, uncommonsensical, unworkable, and impractical,” Capps cautions. Again, this is familiar to mediation, but Capps works for second order change through a theological lens. Capps finds these paradoxes at the center of Christianity, apparent in the Biblical text. For example, Jesus to his followers in the Sermon on the Mount: “You have heard it said, ‘Eye for eye, and tooth for tooth.’ But I tell you, do not resist an evil person. If anyone slaps you on the right cheek, turn to them the other cheek also. And if anyone wants to sue you and take your shirt, hand over your coat as well” (Matthew 5.38-50, NIV). Jesus directly references a refrain found in Exodus, Leviticus, and Deuteronomy, but instead of agreeing with it or disagreeing with it he steps outside of it and presents an alternative that is odd, uncommonsensical, and impractical, to say the least. Capps aligns this text with what he calls the surrender tactic. As a counselor, he cites the example of pastors and congregations engaged in power struggles. If the pastor surrenders the struggle, he or she can break the pattern of escalating conflict, and is also able to exercise more control within the conflict. Paradoxically, a pastor who attempts to exert authority in such a struggle weakens his or her own position, while a pastor who yields and defers may actually become more legitimized in the community for deferring. As with all of the reframing techniques, the surrender tactic is not suited to every situation, and may not have the intended effect in some circumstances. Does this technique resonate with mediation? The surrender tactic may, in certain circumstances, shift the agency from the mediator to actors in a conflict such that alternative solutions can be generated. This tactic reminds also of the advice given to mediators not to be married to reaching an agreement, i.e. mediators should not want an agreement more than the parties. If, like in the surrender tactic, a mediator makes clear that he is willing to leave the process be, the burden of getting everyone to the agreement might shift from the mediators back to the parties. In addition to the surrender tactic, Capps describes twelve more reframing techniques: paradoxical intention, dereflection, confusion, advertising instead of concealing, the Belloc Ploy, “why should you change?”, benevolent sabotage, the illusion of alternatives, providing a worse alternative, relabeling, preempting, and prescription. While each of these is interesting in relation to mediation, space limits me to highlighting only one. Confusion: Capps describes confusion as the introduction of a statement that is so irrelevant that it gives pause to and focuses the listener. For example, a therapist wanted a client to take seriously her recommendation that he speak with his boss about a problem at work, but the client had a bounty of excuses. The therapist said something truly strange and disconnected from the conversation, followed by her recommendation. The client, caught off guard by the first comment, accepted the recommendation without making an excuse. “The confusion technique is also useful when the therapist believes that it would be beneficial to the client to have to depend on his own problem-solving skills, and to struggle through to his own interpretation and resolution of the problem.” In this case, the same therapist mentioned above responded to a client’s questions with “virtually incoherent comments,” and “the client moved on his own toward clarification of the problem and what he might do to resolve it.” Capps qualifies that the counselor ensured the process itself was rational and clear, even if it did not feel that way throughout. Capps offers that a pastor has access to “arcane or hopelessly involved theological” statements to introduce confusion, a resource also available in many other religious traditions. A mediator may, in some circumstances, employ confusion when parties need to do more of the work themselves, whether defining an aspect of the process or generating ideas. As with the counseling setting, a mediator would need to be careful to make the process rational and clear, even when the tool is designed to introduce confusion. A key task of a mediator is to help the parties to structure and organize the complex and often messy conflict. Hence confusion is a counter-intuitive tool for a mediator. But, if used carefully and in the right moment, confusion can be powerful for reframing the complexity and the process. Reframing is, of course, not limited to Christianity. Consider a tale from the Jewish tradition, that of Truth and Story. There are two beautiful women, Truth and Story; each thinks she is the most attractive. To compete, they take turns walking through town to see who commands the most attention. Truth walks through town and people hide from her; in an effort to attract more attention, she disrobes entirely, but her nakedness drives everyone into hiding. When Story passes through town, everyone gathers around her, attracted by her beautifully colored robes. Truth laments her defeat, asking whether no one values her anymore. Story consoles her and counters that people are uncomfortable with the naked truth. Story passes her colorful robe to Truth, and when Truth reenters the town, now cloaked in Story’s robes, she is warmly received by the townspeople. In the tale, Truth tries to share more and more of herself, finally becoming naked. The second order change occurs when Truth and Story move beyond their competition, beyond the zero-sum result in which one wins and one loses, and find the strength in a previously unconsidered path – the competition has been reframed into collaboration. One of the quirks of Capps’ approach is that reframing does not search for deep-seated, underlying issues. Seeking short-term, immediate impact can be counter-intuitive in mediation and negotiation. We often trip over structural causes and underlying factors, even if the immediate goals revolve around the cessation of direct violence. Many conflict analysis tools, for example, search for structural causes, even if most conflict response mechanisms are not suited for structural change. In that regard, reframing may present a tool within the Christian tradition better suited for working within the imposed timeframes and available mechanisms that often face mediators. As we look for resources within religious traditions to aid mediation and negotiation, religious texts present an important avenue when there is common interpretation, as Simon has shown. Where interpretations diverge, and to further expand the toolbox of religious resources, it is also important to look beyond texts. Hayward and Aroua have done this with respect to the Buddhist and Islamic traditions; Capps’ pastoral reframing offers another resource for mediation within the Christian tradition. 1 Capps, Donald, Reframing: A New Method in Pastoral Care, Minneapolis: Augsburg Fortress, 1990. 3 Both quotes: ibid, p. 33.